Wheel Alignment and Wheel Balancing are two totally different things, but many people often get them confused. 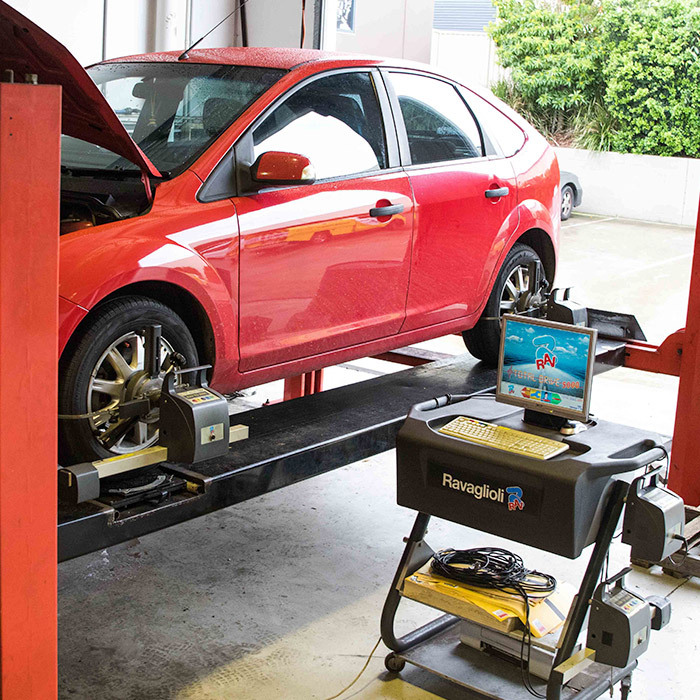 In a nutshell, wheel alignment consists of adjusting the angles of the wheels so that they are perpendicular to the ground and parallel to each other. The purpose of these adjustments is maximum tire life and a vehicle that tracks straight and true when driving along a straight and level road. Wheel Balancing, on the other hand allows the tires and wheels to spin without causing any vibrations. This is accomplished by checking for any heavy spots on the wheel-tire combination and compensating for it by placing a measured lead weight on the opposite site of the wheel from where the heavy spot is.